Bye, bye Funnel, Hello Flywheel: A new model of Inbound Marketing. 19 Nov Bye, bye Funnel, Hello Flywheel: A new model of Inbound Marketing. Are we really ready to say goodbye to the Inbound Funnel? What is “Flywheel“, the new circular model of Inbound Marketing? It was just 10 years ago when we realized the importance of sharing quality content to attract potential customers. At the same time the famous inbound funnel was created, a process that explained at a general level the steps to get a customer through the dissemination of content of interest. (If you want to know more about how the funnel works click here). Everything seemed logical and worked well with our beloved funnel. So, what has happened? Why has it become increasingly difficult to reach our potential customers through our publications? Well, everyone did the same and many channels have been saturated by an impressive number of articles and messages. To make your content stand out from all this informative noise is a complicated task, without expanding on the changes that the algorithms of social networks have made, which have not made it easier either. This pump of information and an infinite range of products and services have resulted in much more informed, skeptical and demanding customers. People have begun to filter information and to be more selective. How? Through the recommendations and reviews of other customers, friends or family, the famous “word of mouth“. There is nothing that captures more attention and inspires people to buy or not than the voices of our customers. Nothing will be more reliable than what your own customers say about you. It is precisely here that our funnel fell short, because this model does not contemplate what happens after the conversion (from lead to client). This is where the “flywheel“, or steering wheel in Spanish, enters a new way of seeing the interactions with customers, placing them at the center of all operations. 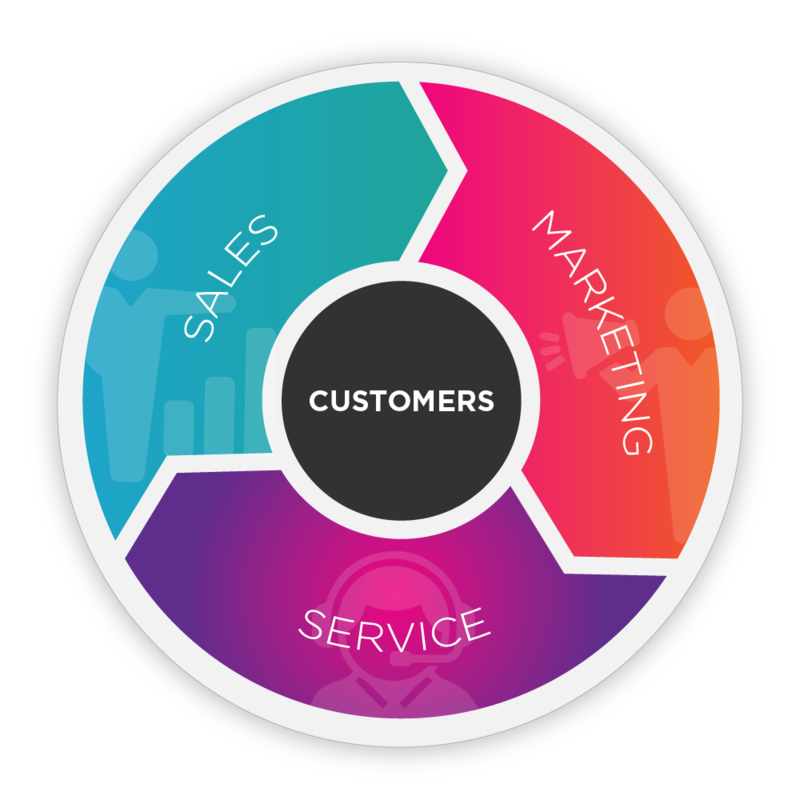 The idea that the customer is the most important thing is nothing new, but this model serves as a reminder of the importance that a company has in not only generating sales, but also relationships. I do not think it’s the final goodbye of the funnel, since it will remain valid for specific strategies, but we always need a vision that goes beyond, a complement, a “flywheel“. New standards have not only been established in content, but also in service. Currently, we must not only disseminate quality content, sell it with a personalized and evidence-based commercial strategy, but also offer excellent pre and post sales customer service. In marketing we must focus on developing strategies to convert our clients into active promoters and creators of our brand’s content. How? Through our customer service. So, come on, there is a lot of reflection, work and restructuring to do. We’ll talk about that in more detail, in my next post. For now, don’t forget that to grow better you have to work for and with customers. Contact us to learn more about how to generate greater value relationships between your customers and your business.